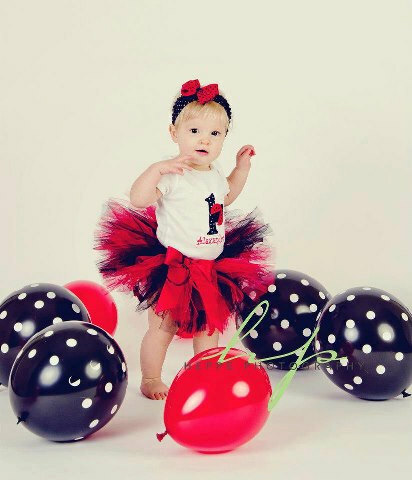 Your little princess is sure to be a hit on her special day with our personalized red and black personalized birthday tutu outfit! Personalized Ladybug Birthday Shirt or Onesie (Created on a shirt or Carters onesie) Available for 1st, 2nd, 3rd, or 4th Birthday's! Sizes 12mo.-4yrs. Personalized with the birthday girl's name. Matching Flower Clippie or Headband.